William Byrd Park has been the hub of the Richmond outdoor landscape since the 1870s, and I don’t think it gets enough acclaim. 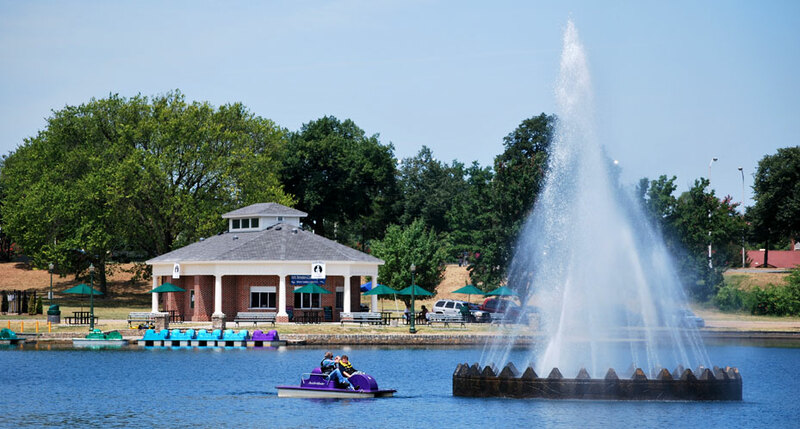 The 200-acre park has three lakes, the 240-foot World War I memorial The Carillon, Dogwood Dell, tennis and baseball facilities, a walking track, a reservoir, plenty of trees, wide open green spaces and more. The City of Richmond Department of Parks, Recreation and Community Facilities spent more than $400,000 to renovate and fix up the concession building at The Landing, added restrooms and allowing the renowned catering and box lunch specialist Sally Bell’s Kitchen to open. Sallie Cabell Jones opened the original Sally Bell’s Kitchen in 1924, which coincidentally is just one year before the dedication of the beautiful fountain in middle of the six-acre Fountain Lake. There is always someone fishing at the lake. It offers largemouth bass, channel catfish and bream. You’ll almost always find people walking around the lake or taking in the shade on a bench under one of the many trees that line the granite walls of the lake. It’s a great place to relax and enjoy being outside in Richmond. I’ve always loved the setting at Fountain Lake, especially the colors and scenery. I never considered visiting the old concession stand, but I have been looking forward to lunch at Fountain Lake since winter when I saw the renovations being made. The paddleboats are back and I will definitely get my family to partake in spin around the lake. My one complaint however, is that the cost for 30 minutes on a paddleboat is $12 — a little steep. Considering that a Canal Cruise is just $5 per adult, $4 for children 5-12 for a 40-minute guided tour and you’re getting to see a lot more…I think $8-10 makes more sense. 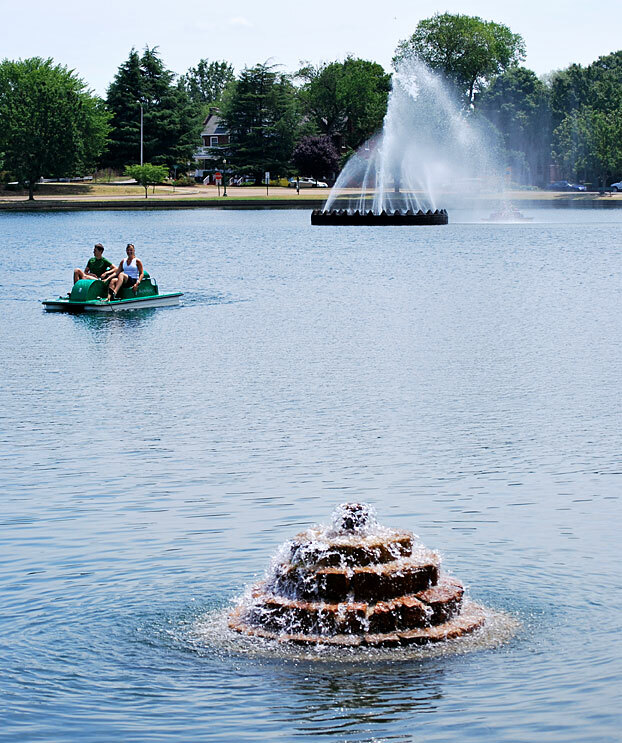 We enjoyed a paddle boat ride around the lake & fountain today for only $8. The breeze was wonderful and it was a fun way to get in a little exercise. All of the gentlemen were very nice and helped us on and off of the boat. I’m enjoying your blog. Great news about Sally Bell at the lake. I didn’t know.